Jerry’s Deli is a great place to get soup and a sandwich. 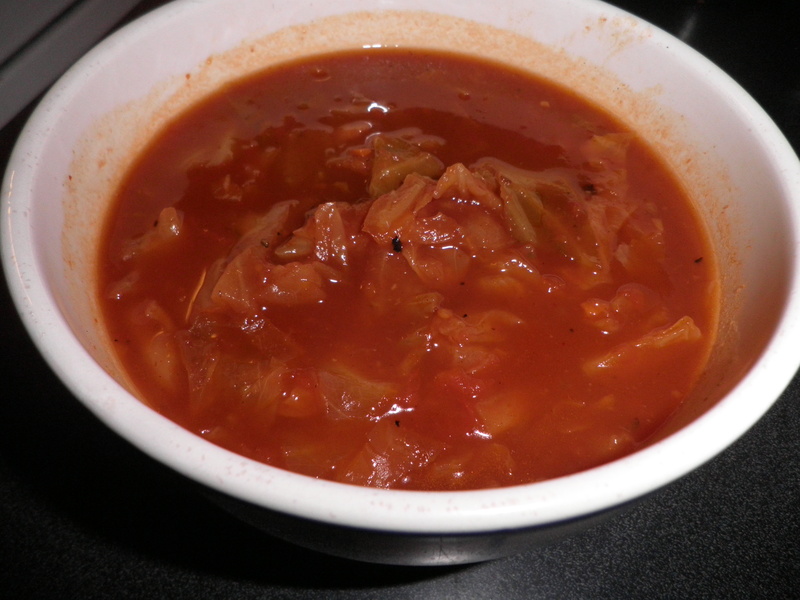 My favorite soup on their menu is sweet and sour cabbage soup. This is almost exactly like theirs. I hope it will be a favorite of yours too. Combine the top rib, broth, and water in a 10-quart soup pot or kettle. Bring to a boil over moderate heat and skim off the gray residue for 5 minutes, or until every last bit of residue has been cleaned off the top. Add the onions, tomatoes, tomato sauce, cabbage, sour salt, black pepper, and sugar. Bring to a boil, stirring occasionally, then cover and simmer 3 hours, until the meat is very tender. Stir in the raisins, set the lid to the pot slightly askew, and simmer 20 minutes. Taste, correct the seasoning, adding additional salt and pepper as necessary.